Horizontal fall protection systems are used to advantage when working on roofs or other higher elevations. 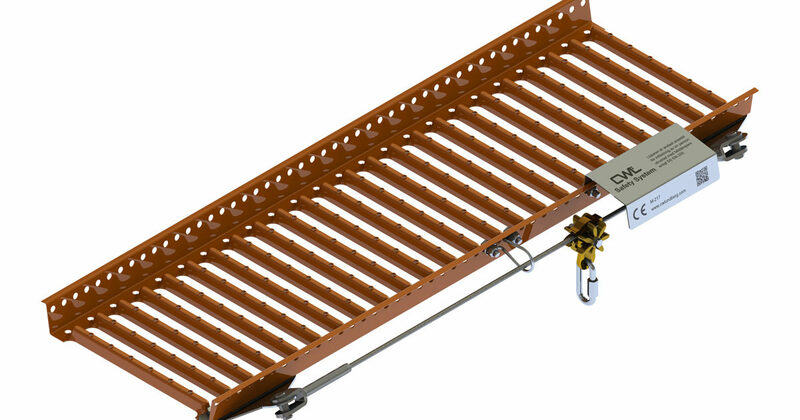 A horizontal fall protection system for horizontal use means that you have a cable running along the desired route on the roof, also called pillar system or Walkway. The wire is attached at points that are installed on the roof. 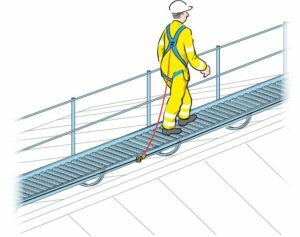 On a horizontal fall protection system there is a wire leading longest with the walkway. You easily place the trans-fastener on the wire and then you have a lanyard attached to you. This line is then attached to a safety harness that you wear on you. You will sit securely in place throughout the work on the roof and can simultaneously move freely along the entire roof. You can at anytime and anywhere to disconnect the cable attached to you. The rope runs freely over the wire posts so you do not disconnect during work. Horizontal fall protection system is used consistently to advantage when working on roofs or other higher altitudes where the longitudinal installation is possible. We help you to install this system so it works to your needs.